A Military Story: What is a Household 6? You may have noticed I've added a few new sponsors to the right hand side of the blog and I have tons of new resources on the INFO page. I want to make sure that this blog not only shares beautiful photos & the stories behind the photos, but it also inspires, educates and informs! The one that keeps up with the arduous tasks of washing uniforms, picking up smelly PTs, going to the commissary and PX, raising the children, packaging care packages…you get our drift! A HH6 is the one in charge of everything! 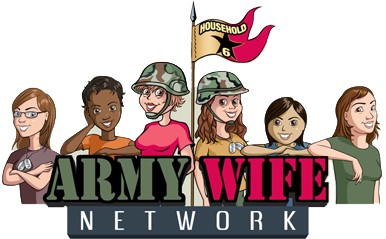 The name is derived from where said wife spends most of her time (the household), and the number 6 is the designation for a commander of a Company/Troop, Battalion/Squadron, Brigade/Regiment, Division or Corps. Used in a sentence – “I’d really love to go with you on the hunting trip, but household 6 pulled my weekend pass.” AWN is dedicated to making your “Household 6″ life easier! Gobble up some tips below, leave comments, rate the tips, and share your own suggestions too.